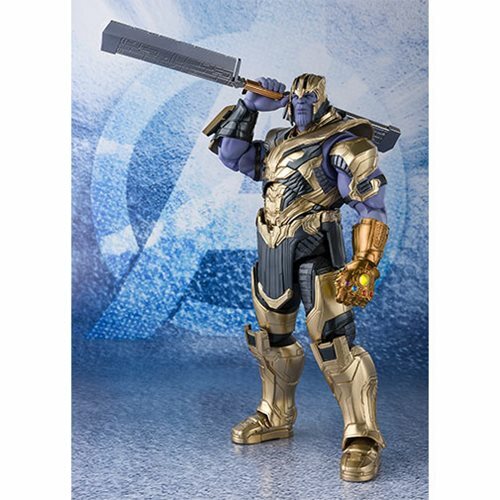 The Dark Lord who menaces humanity's most powerful heroes joins the SH Figuarts lineup, featuring his appearance from the film Avengers: Endgame. 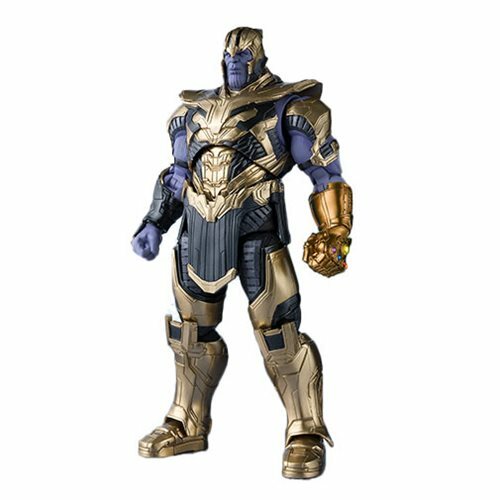 He has been sculpted in a distinctively larger size so that you can feel his power in comparison to standard-sized characters. 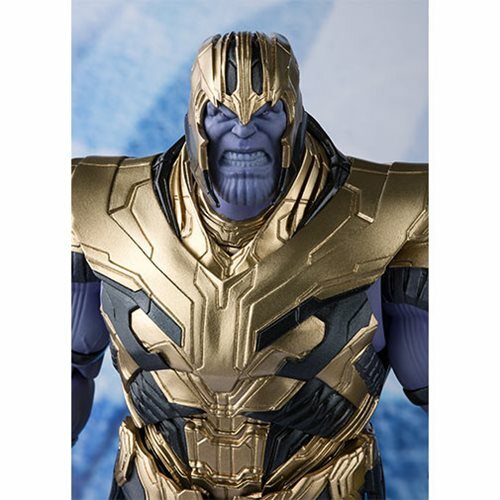 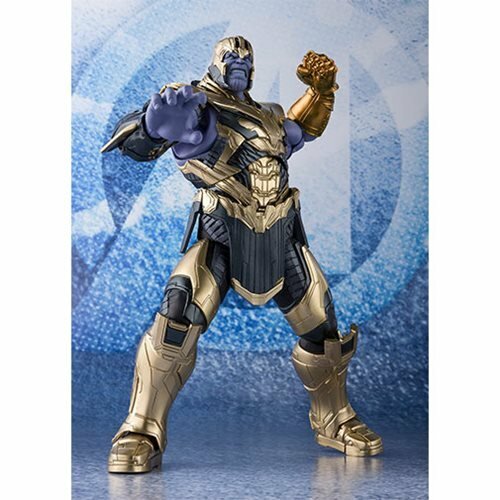 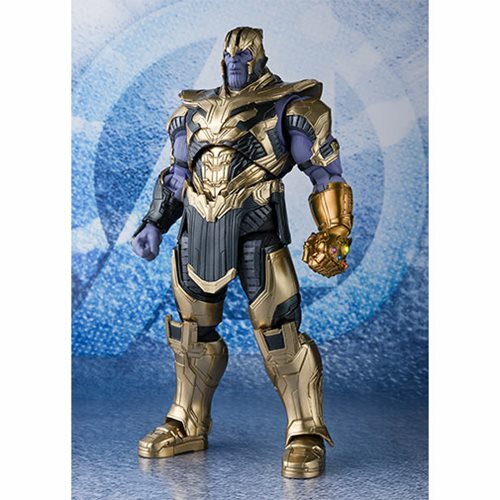 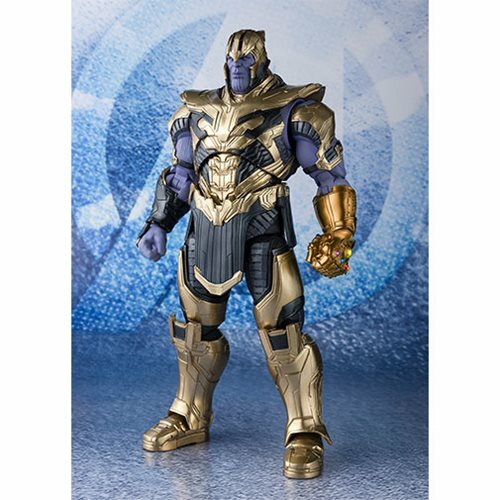 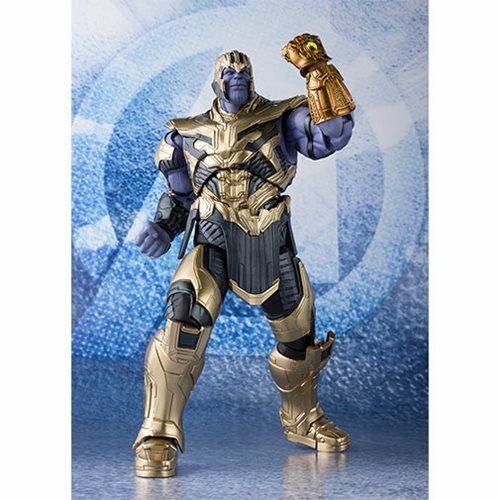 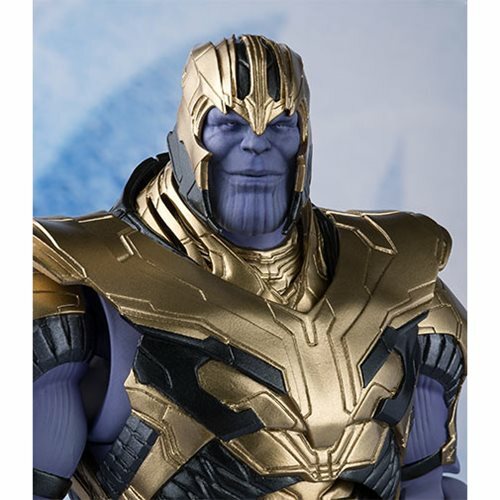 The Avengers: Endgame Thanos SH Figuarts Action Figure includes 2x pairs of optional hands, a weapon, and 2x optional face parts. 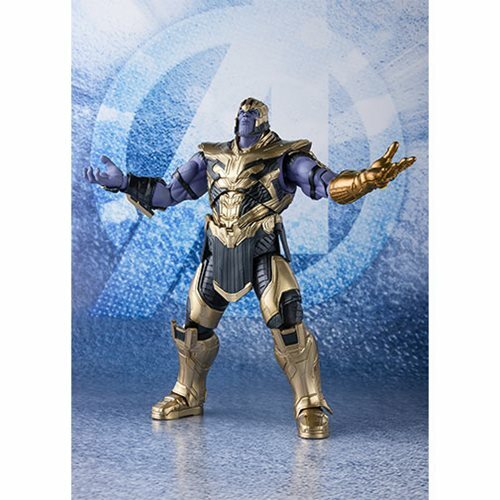 Measures about 7 2/3-inches tall.